Let Bill put his Network to Work for you! 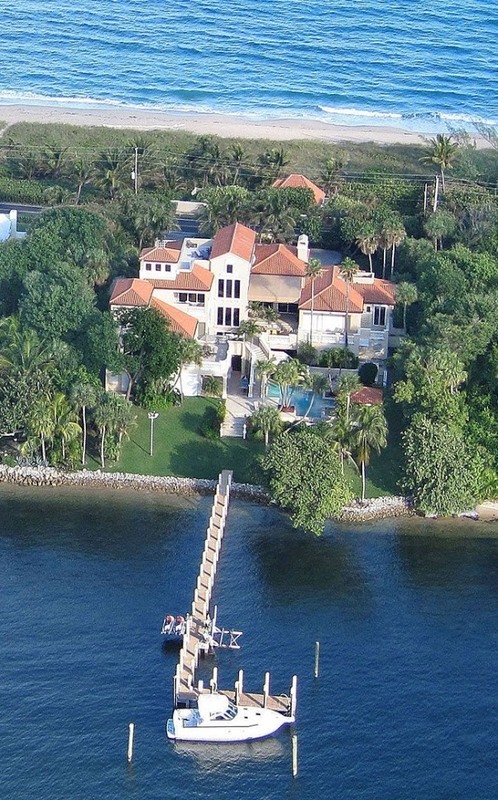 Bill Bathurst has more than 18 years of experience as a Real Estate Broker and is qualified to assist you with any real estate need, from luxury waterfront estates to commercial properties. He is known for his strong marketing skills, business acumen, and local market knowledge. Bill is a good communicator who listens carefully to his clients. Prior to his successful real estate career, Bill spent almost 20 years as a Brand and Business Unit Manager for Fortune 500 companies followed by founding his own businesses. Bill Volunteers for causes he is passionate about, he is active in the Delray Beach Historical Society, the Coastal Conservation Association, and has served in various roles, including District Chairman, for the Boy Scouts of America. 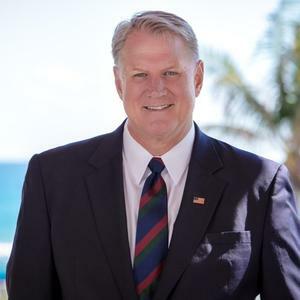 Bill Currently serves his community as a City Commissioner for Delray Beach. Bill is an Alumnus of the University of Florida and his family has lived in Delray Beach since the early 1930s. During his free time, Bill enjoys spending time with his family, traveling, fishing and hiking. 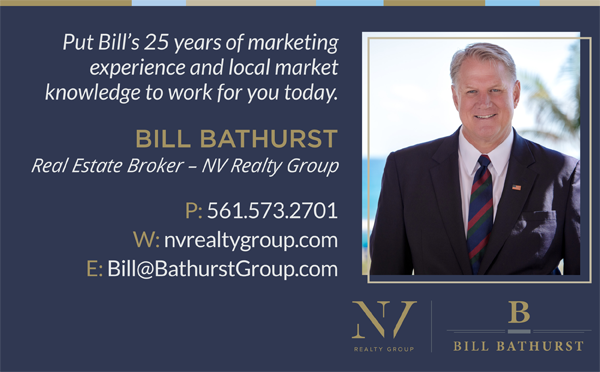 Using innovating marketing strategies, Bill and NV Realty Group have the unique capability to showcase your home on a global platform. More than 95% of buyers begin their home search online, and NV Realty Group's highly-ranked, fully-optimized website captures more prospective buyers who are able to virtually tour your home. This enormous reach extends way beyond the local region, often attracting buyers from outside the state and not uncommonly outside the nation. 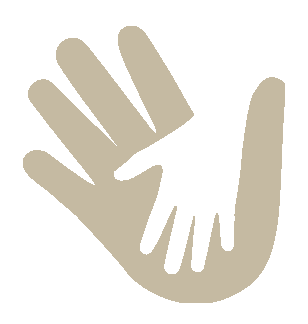 NV Realty Group employs its own SEO team and tech-savvy professionals who create a custom social media and digital marketing plan for your property.